Just two days after government hearings on how hate speech proliferates on social media, one of the world's largest advertisers said it is reviewing how and where it spends its ad dollars. 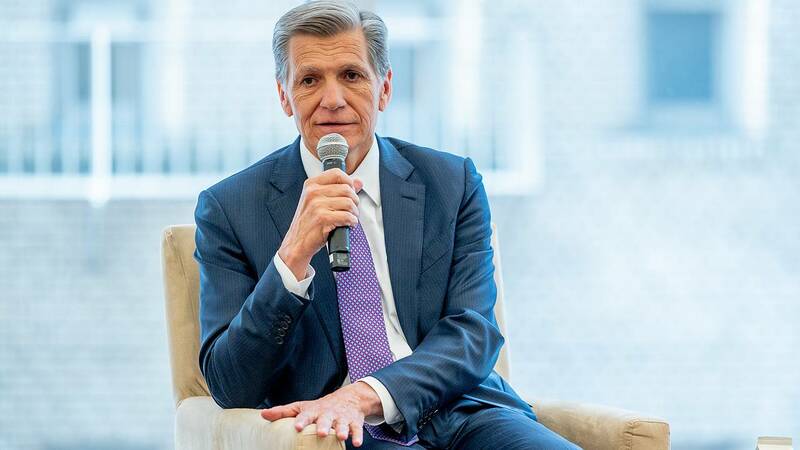 Marc Pritchard, the chief brand officer of P&G, which spendsbillions of dollars per year on advertising, said Thursday that the continued problems of social media have created the need for change. "Digital media continues to grow exponentially, and with it, a dark side persists," he said during a speech before about 800 advertising executives who had assembled in Orlando, Florida, for the annual meeting of the Association of National Advertisers, or ANA, a major trade group representing the advertising industry. "Privacy breaches and consumer data misuse keeps occurring," Pritchard said. "Unacceptable content continues to be available and is still being viewed alongside out brands. Bad actors are finding ways to create divisiveness and social unrest." Pritchard's speech adds to growing pressure from politicians, activists and consumer advocates for tech companies to do more to address issues including the spread of hate speech, algorithmic bias and government-backed manipulation. While advertisers have in recent years grown more comfortable criticizing the major tech companies, Pritchard's words were some of the strongest yet and included a warning that some changes were already underway. "We need to begin charting the course in a different way going forward," he said, noting that the consumer goods giant was forming "new partnerships with entirely new platforms and media companies that prove from the very start that their content is safe and under their complete control." P&G was the biggest spender on Facebook in 2018, according to data from marketing analytics company Pathmatics. Moving forward, Pritchard said the firm preferred to spend its ad dollars with those who "enable common sense moderation of comments," versus, "disproportionately amplifying controversy or worse, hate." "We have a significant purchase power as an industry," Rajamannar, who is also the president of the World Federation of Advertisers, said "The key thing, we have to be able to work to develop with the platforms and keep working towards a solution. This is something we as marketers care about very deeply and if it's not happening we'll have to keep relooking at our space." Another group, the World Federation of Advertisers, a global trade association for advertisers, issued a statementin late March at a global marketer conference calling on members and brands to take action and, "to put pressure on platforms to do more to prevent their services and algorithms from being hijacked by those with malicious intent." Facebook has made a series of announcements about new programs and changes meant to address the issues on its platform. While the company has at times pushed back against certain critiques, it welcomed Pritchard's comments. "We applaud and support Marc Pritchard's sentiments for again making a bold call for our industry to collectively do more for the people we serve," Carolyn Everson, Facebook's vice president of global marketing solutions, said in an email. "We continue to invest heavily in the safety and security of our community and are deeply committed to ensuring our platforms are safe for people and safe for brands."